A Naturalist's Guide to the Mammals of Southeast Asia is a photographic identification guide to the 129 species of mammal most commonly found in South-East Asia (covering Brunei, Cambodia, Indonesia, Laos, Malaysia, Myanmar, the Philippines, Singapore, Thailand and Vietnam). It's perfect for resident and visitor alike. High quality photographs from some of the region’s top nature photographers are accompanied by detailed species descriptions which include nomenclature, size, distribution, habits and habitat, as well as interesting snippets of information about the mammals. The user-friendly introduction covers details on habitats, advice on mammal watching, notes on taxonomy and information on threats to the wildllife. 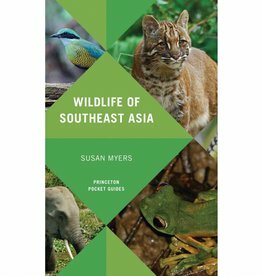 Also included is an all-important checklist of all of the mammals of South-East Asia encompassing, for each species, its common and scientific name, IUCN status as at 2011. 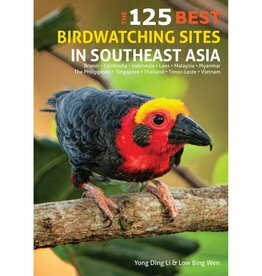 Southeast Asia has a vast diversity of birdlife, comprising roughly one fifth of the world’s 10,000 living species, and of which over 850 are endemic, making the region a richly rewarding destination for birdwatchers.